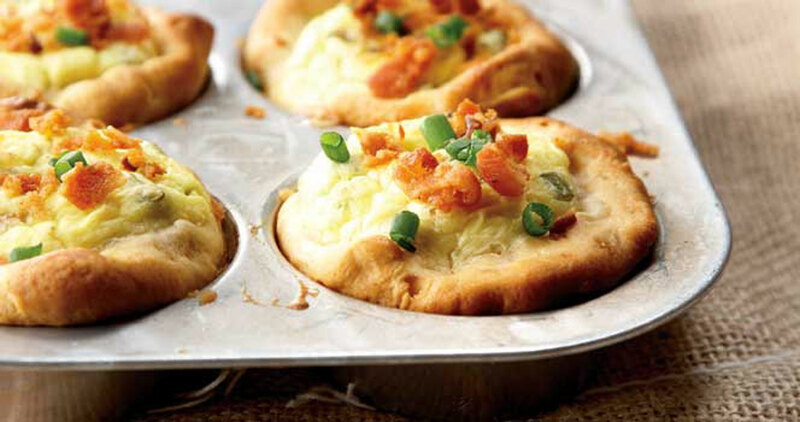 These savory carolina cups just might become a new family favorite. Beat cream cheese until fluffy. Add milk and eggs, and beat until creamy. Stir in cheese and green onions. Set aside. Separate biscuits into 20 portions. Pat each biscuit into a 5-inch circle and press in bottom and up sides of greased muffin pan. Sprinkle evenly with half of the bacon. Spoon cream cheese mixture evenly on top. Bake for 22 minutes or until set. Sprinkle with remaining bacon crumbs, and garnish with parsley or green onions. Serve warm. To purchase Bountiful cookbook, contact Carol Mann.